The Deskstar 7K3000 is Hitachi's first hard drive to deliver an enormous three terabytes of storage capacity and 7200 RPM performance in a standard 3.5-inch form factor. 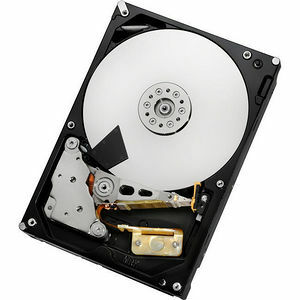 The 7K3000 is also the first Hitachi hard drive with a 6Gb/s SATA interface, which along with its 64MB cache buffer delivers a big boost to performance over the previous generation product. The Deskstar 7K3000 is designed to allow manufacturers to leverage the benefits of the latest components and operating systems to deliver high-performance, high-capacity, power-efficient systems. Manufacturers planning to use the highest capacity 3TB drive in systems should consult the Hitachi High Capacity Technology Brief. Deskstar 7K3000 is also available in 2TB and 1.5TB models that accommodate existing systems, as well as new designs.